C loves play dough. It’s one material that he will play with for extensive amounts of time. I try to incorporate it into our play invitations whenever I can. 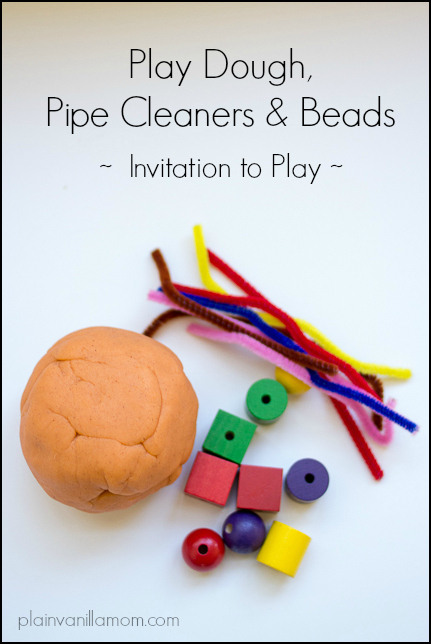 Today’s invitation is simple but captivating and great for working on those fine motor skills. 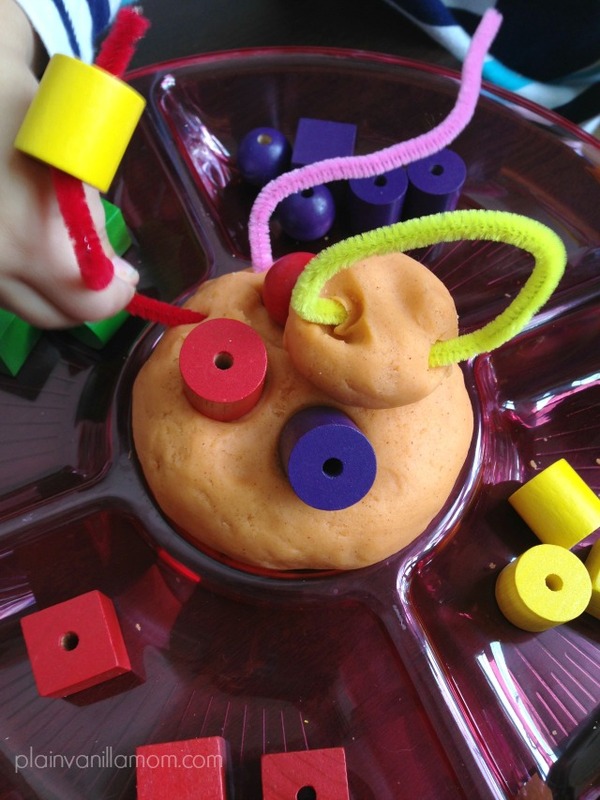 We used playdough, some larger wooden stringing beads, & pipecleaners. That’s it! I set it all out for him and let him create. 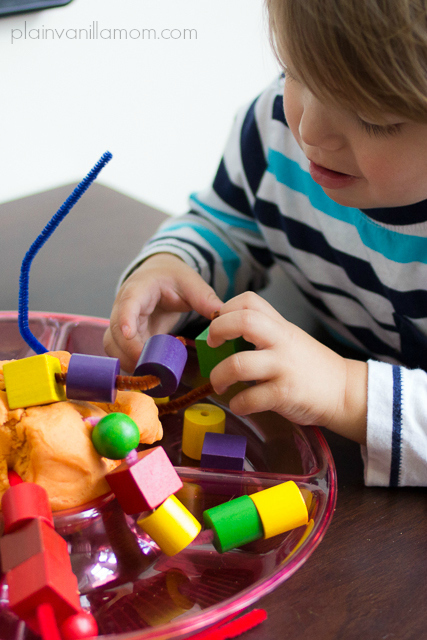 There are multiple ways your little one might play with something like this. Mr. C started by just squishing beads into the play dough. After he played that way for awhile I stuck a pipe cleaner in to help spark some other ideas. Before long he was stringing beads on the pipe cleaners. Then his imagination kicked in and he made a “spaceman” …his word…. It rather looks like a spaceman doesn’t it? 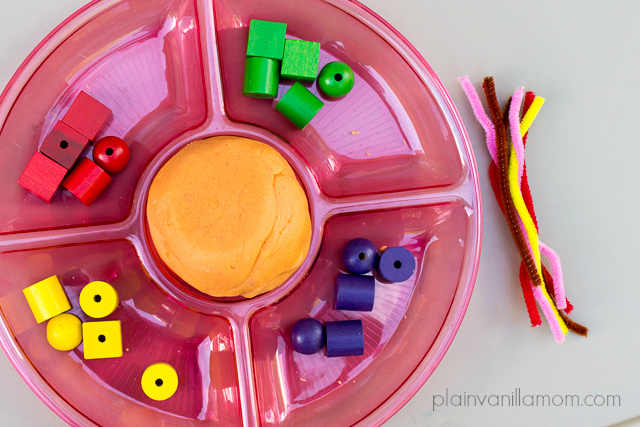 I really like this idea….now tomorrows task is to find beads and pipe cleaners!